About fifteen years ago, Apple changed the way we listen to music when they introduced their first iPod. From that day, until today, we have seen how their products have evolved to such extent that even the iPod is no longer a core product and its features have been integrated into their products, such as the iPhone. 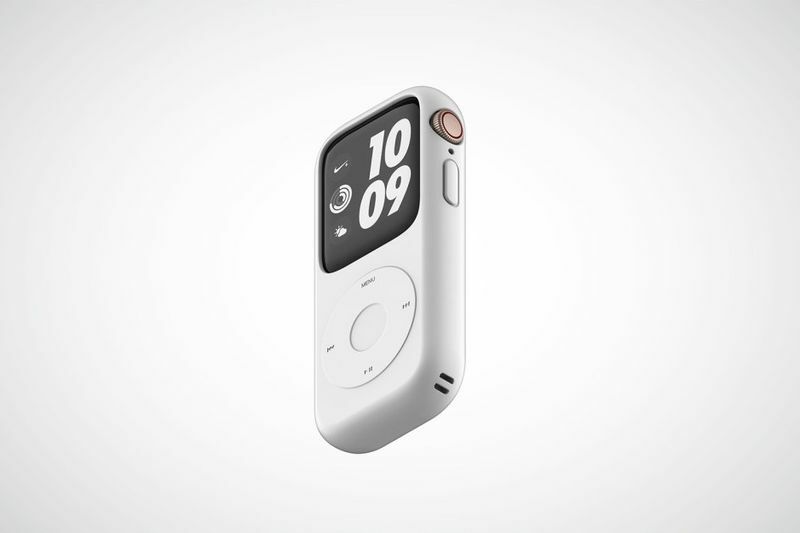 Since its inception, and dubbed as the item that elevated Apple once again, the iPod has been creatively transformed by users all over the world from a music-playing device to a watch, or a gaming device. Following all these interactions, it is no surprise Apple has come full circle, and now users are transforming the Apple watch, back into an iPod. Korean designer Yeonsoo Kang has taken this nostalgic feeling and has created an Apple Watch Series 4 case that reshapes it into a (sort of) original iPod. Created for Caseology, the silicone case features a non-functional click wheel just for the sake of aesthetics, and even though you can still control your Apple Watch using the touchscreen, the distinctive click won't be there to take you back to those days of infinite scrolling through music. The designer says that in the end, his idea was to provide a different user experience. Called the Pod Case, the cover has cutouts for the digital crown and side buttons, as well as for the ceramic back to ensure it can be charged wireless. Even though the case is not 100% like the original iPod, the reminiscence will be enough for those suffering from nostalgia.